Rational, materialist, and humanist, Western culture is derived from the atheist immortal philosophers that once dominated the far west reaches of the world. They are Bronze or Early Iron Age in material culture and comparable to the rich Hellenistic Greco-Indian kingdoms of the 3rd century BC to the 1st century AD. Their society is divided into four hereditary castes (that of Wizard, Noble, Soldier, and Worker), each with its own rules and restrictions. They are famed for their powerful sorcerer – logical “scientists” of the magical structure of the world who reject worshiping the magical forces in the world, instead they impose their own will upon the world. The Westerners tend towards light skin (ranging from pale to olive), with blueish-black, brown, yellow, or red hair. However, dark skin is prevalent in the southeastern provinces of Seshnela. Facial hair is regulated by caste; wizards must grow long beards, whereas nobles must shave their chin, etc. Each caste has its own distinctive clothing and attire. Men and women typically wear a length of fabric, wrapped around the waist. The laboring castes also often wear a vest, tunic, or blouse. In the cold lands of Fronela, cloaks (similar to the Greek himation or chlamys) are worn. The type and quality of fabric depends on the caste. As a general rule, the Nobles wear less clothing than the lower castes; the Noble soften wear little more than a skirt, while Workers (considered to be more physically imperfect) tend to be more covered up. Weapons are Bronze or Early Iron Age, and the Westerners are renowned for their heavy cavalry (cataphracts) and their fierce foot Soldiers, which fight with spears, swords, and crossbows. Fig. 1. Pithdaran wizard-priest. Pithdaros is a province in Seshnela, populated by the descendants of Agimori (Doraddi) who embraced Western ways nearly a thousand years ago. The Pithdarans are noted for the mental keenness and learning of their wizard-priests. Caste divisions and restrictions are rigidly enforced throughout Seshnela and obedience to caste law is thought to be the basis of civilization. 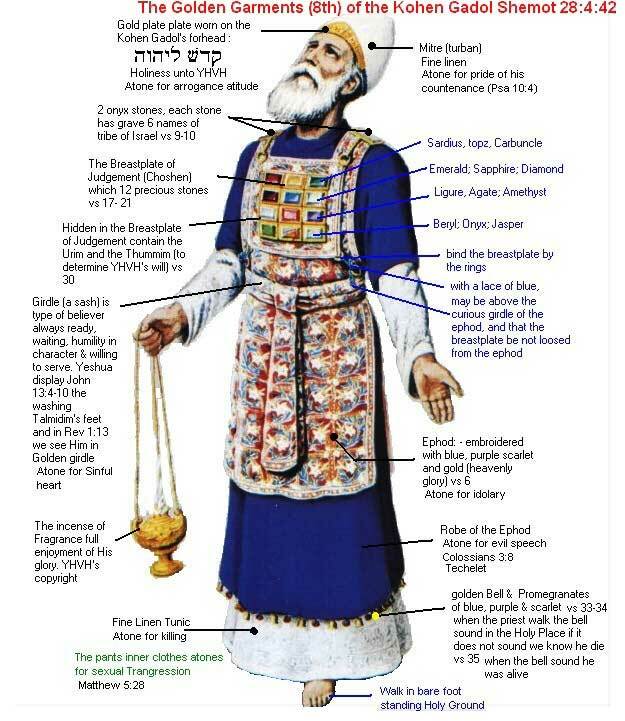 Western wizard-priests are called zzaburi and constitute the “blue caste”. They learn the arts of wizardry. Zzaburi are philosophers, religious functionaries, scribes, and of course, magicians. In wartime, they support the Soldiers and may compose special units. They are subordinate to the Nobles but considered more “sacred”. Zzaburi are fed, housed, and appropriately honored for the labors they perform for their talars. Some serve as wizard-priests for a shrine or temple and are supported by their community. Zzaburi learn their art in a school or from a wandering teacher. They must remain celibate and seek to free themselves of all worldly interference so that they can concentrate on mental and magical exploration. As a result, unlike the other castes, new zzaburi are chosen from the children of the other castes. The wizard-priest’s hands are likely making some sort of strange occult gesture (the sort of stuff we could imagine Dr. 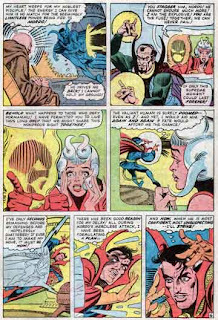 Strange doing as illustrated by Steve Ditko): http://1.bp.blogspot.com/_i_2ylhfMUMI/SPkiT0sW2oI/AAAAAAAAAF0/d-xhcPMk-34/s320/DrStrange+Page.jpg. Fig. 2. Loskalmi Man-of-All. Loskalm, in the far north, rejects the rigid caste system that defines most Western societies. Instead, the ruling sect of New Hrestolism has created a radical egalitarian society, where every Loskalmi can identify himself as worker, soldier, wizard, or ruler; many strive to pass through the four caste occupations during their lifetime. They tend to be pale of skin and fair of hair. The Men-of-All are the mystic guardians of Loskalm, a mystical order of warrior-monks (think Buddhist monks like the sōhei, not Christian monks) who vow to serve and defend their community, study magical grimoires, and act as judges and leaders for the common folk. They are governed by strict rules established by Hrestol for his companions. The Men-of-All learn to fight from horseback (and are thus have often been called some variation of “horse-men” by outside commentators) and are provided with weapons and mounts by their community. They are superbly self-disciplined and skilled in the martial arts. Our female Loskalmi Man-of-All has short-cropped dark blonde hair. She is lithe, graceful, and extremely athletic. She wears an unadorned Doric Chiton (made of wool) that does not quite reach her knees, and is tied with her sword belt. Over it she wears a heavy woolen chlamys. Clearly she relies upon her mystical self-discipline to cope with the severe winters of Loskalm! She wears high woolen socks (http://upload.wikimedia.org/wikipedia/en/7/7f/Islamic_sock.jpg) and sandal boots like a caligae. She wields a long, elegant sword like a narrower version of the Goujian Sword (http://upload.wikimedia.org/wikipedia/commons/f/f3/Goujian_sword_and_inscript_detail.svg and http://baike.baidu.com/albums/142504/142504/0/0.html#0$cf5a831645586d61f2de3270) but instead of Chinese characters it has the runes of Harmony, Law, and Death. If she needs another weapon, she has a long, equally elegant spear, or a bow and arrows. What is it with the Underworld?